Brands: Whirlpool, Maytag, Kitchenaid, Amana, Jennair, Kenmore, LG, Samsung, GE, Electrolux, Frigidaire, Admiral, Hotpoint, Wolf, Viking. 1. First of all check your power cord, whether it is plugged properly or not. 2. 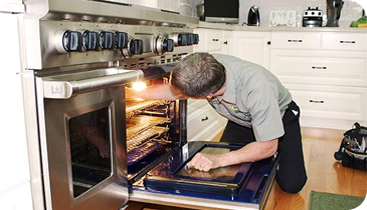 Make sure that your oven circuitry is receiving proper power and check for fuse; if it is broken then you have to replace it with new one. 3. Some ovens work with clock settings at initial levels so make sure that oven clock is set to right time and then turn it on again. 1. Generally it takes almost 15 to 20 minutes to reach up to 350 degrees so make sure that you have waited for this much time. 2. In order to minimize the preheating time, ensure that door of oven is closed. 3. 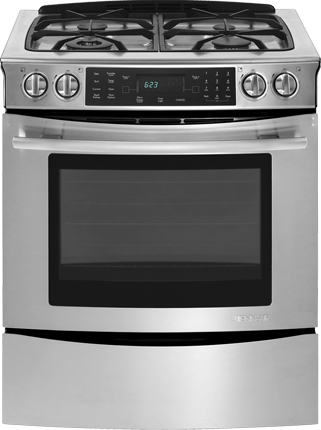 An oven with hidden heating element usually takes more time to preheat. 4. Remove the aluminum foil if you use it over oven racks because it also tends to increase preheat time. 1. It is good to wait for complete cool down of oven after the self clean cycle. Generally the door can stay locked till the time your oven comes back to safe temperature and if it is not opening even after cooling down then try to resent the self cleaning cycle. 2. Check the display of oven and deactivate the feature of lockout in case if it is activated by mistake. 3. If your oven has manual lock then put your hand over door handle only when your oven has reached to normal temperature and then press it firmly so that tension can be released; slowly move it to the unlock position. 1. Generally, maximum temperature level allowed for oven heating is 287 degrees Celsius or 550 F; if you are not able to set temperature above this range then surely display controls of your oven is set to Celsius range instead of Fahrenheit. For other issues, it is good to refer to instructions provided in user manual or contact www.odar.ca for fixing up major troubles. On Demand Appliance Repair (ODAR) is a premier appliance repair centre servicing kitchen and laundry appliances such as front load washers, top load washers, dryers, refrigerators, dishwashers, stoves and ovens.